Ashley began her career with Kayne Law Group in 2014 and quickly established herself as a skilled legal assistant. Whether she is processing documents and title work, assisting attorneys with documentation or analyzing files for accuracy, Ashley seamlessly juggles the countless tasks necessary to make every transaction as efficient and uncomplicated as possible. With her degree in Psychology, coupled with studies in Human Resources Management, Ashley has a knack for client and colleague relations. She continually anticipates the needs of others and works hard to stay ahead of the game. 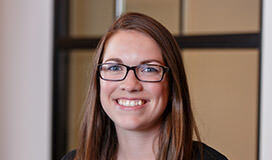 Ashley is a skilled multi-tasker, and a key member of the KLG team. When she’s away from the office, Ashley enjoys being outdoors – camping, hiking, riding bikes or picking up some fresh veggies at the city’s many farmer’s markets. If the ever-unpredictable Midwest weather strikes, however, you’ll find Ashley painting, cuddling with her pup, laughing at her husband’s never-ending corny jokes and slowly converting him to a Pittsburgh Steelers fan. 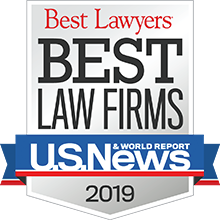 © 2019 Kayne Law Group, A Legal Professional Association. All Rights Reserved.